Featured on Product Hunt and need to display a custom referral message? What about redirecting users to a custom landing page? How about remembering those users the next time they visit your site? Learn how to do it all and more with Logic Hop in less than 10 minutes. Websites featured on Product Hunt have a ?ref=producthunt query string appended to the URL. Using the “ref” variable and “producthunt” value we’ll create a Condition to show custom content to the user or redirect them to a custom landing page. We’ll also set a Goal that tracks the user to show custom content on subsequent pages now, and, on future visits. Once the Logic Hop Goal is set, you can target the user when they visit your site to provide content personalization. Show special offers or specific messaging to maximize each user’s potential. 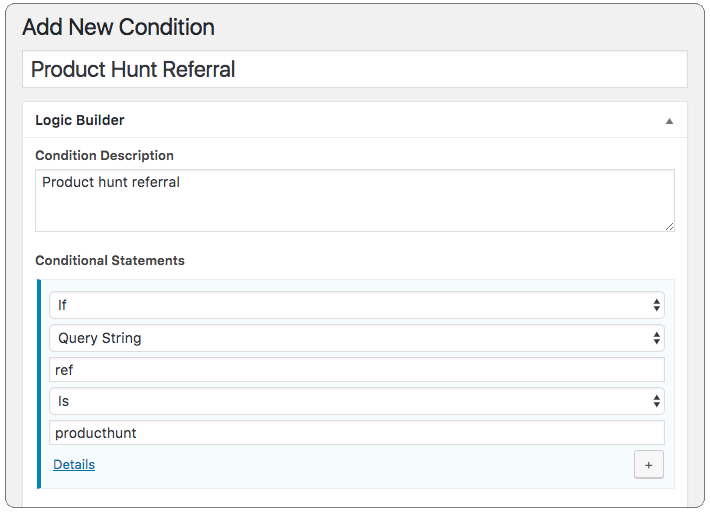 Display content on an existing page when the “Product Hunt Referral” Condition is met. 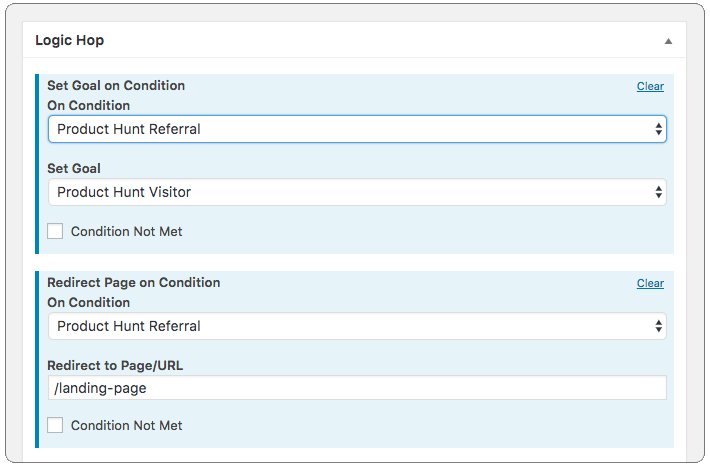 Redirect the user to another page when the “Product Hunt Referral” Condition is met.